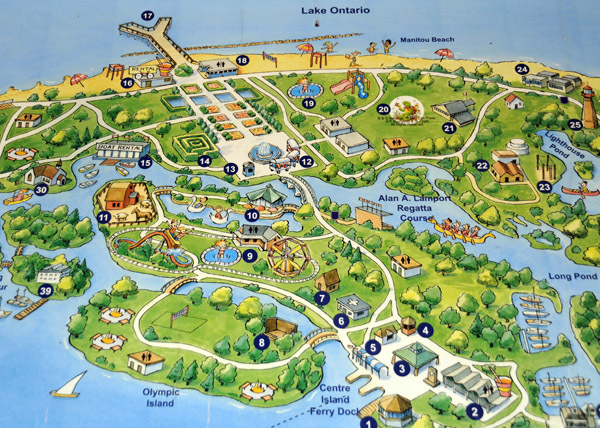 Don’t get me wrong, I love Centreville on Toronto’s Centre Island, the Toronto Island amusement park. My kids and I have spent many a magical day there exploring and having fun. That being said every once in a while, it is really nice to visit Toronto Islands Centre Island and check out what else is there. In no particular order, here are a list of my other favourite things to do on Centre Island. The best part is they are all free! Let’s face it, most kids in cities only see chickens on plates. I am not really sure when the last time my kids went to a real farm was but it was a while ago. For this reason, they love to visit Far Enough Farm. 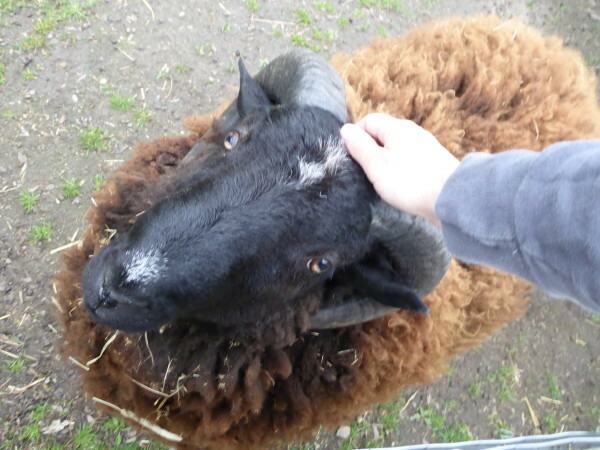 Run by the City of Toronto, the farm has a variety of animals including pigs, sheep, horses and cows. All in all, most of the food chain is there. I love how spread out the farm is and how easy it is for little kids to explore the area. The only downside to the farm is that you need to walk directly past Centreville to get to it. I prepped my kids by telling them we were not going on any rides but still had to do a little reminding on our way to the farm. Centre Island is the middle section of a 600 acre park that also includes Ward’s Island and Hanlan’s Point. 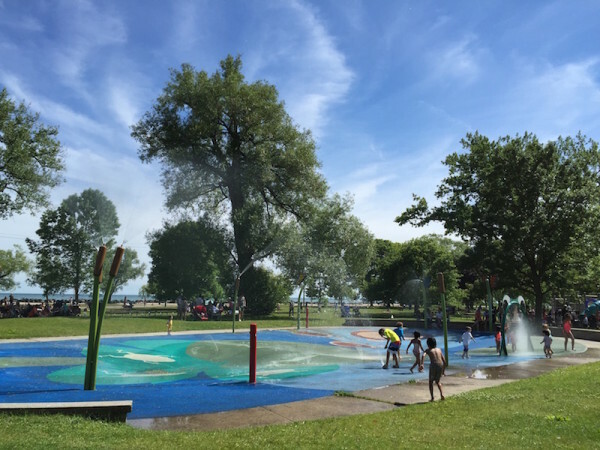 There are 5 wading pools on the island and a huge splash pad on Centre Island. In the summer, the south side of the Island is a large supervised beach. Kids under 10 will have so much fun in the water that you do not actually need to spend a dime on the Island. Franklin the Turtle is probably one of Canada’s most famous children’s characters. 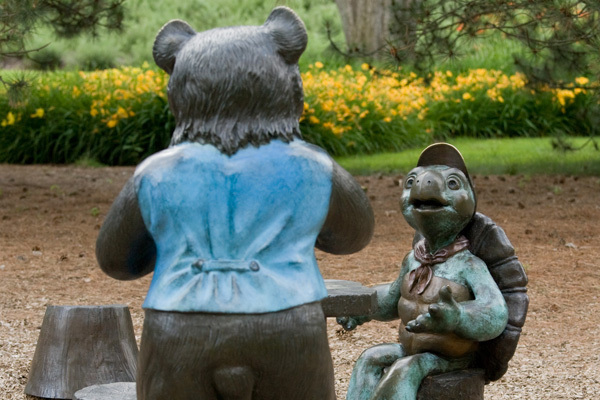 He is also the inspiration for the children’s garden on Centre Island. 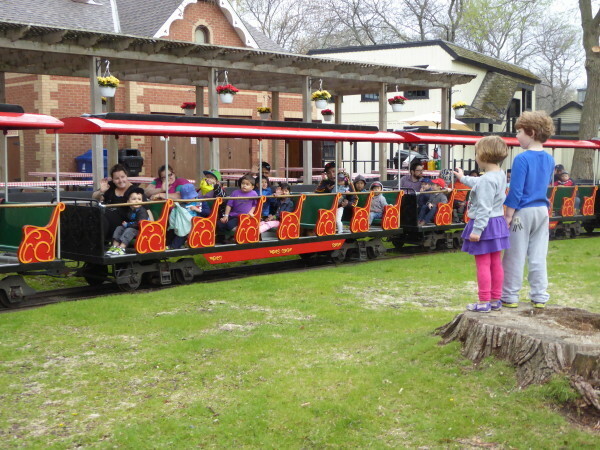 The children’s garden is always open and kids love it. Kids can learn to plant and tend to a garden, check out real turtles and frogs in a pond, and generally can do whatever they please in this space. There is a walkway to the highest point on the Island and Franklin sculptures that they can climb, sit on, touch and takes pictures with. 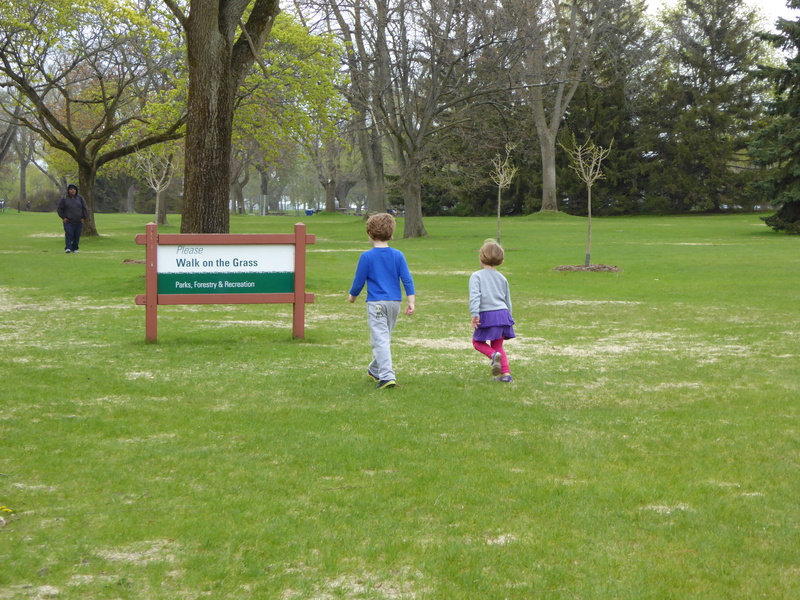 On Wednesdays and Saturdays in the summer, kids can pick up a free discovery backpack that includes a map, magnifier, activity sheet, binoculars and a field guide to help them explore the gardens. You’ll often also find story times and other activities going on in the garden. The oldest stone building standing in Toronto and the oldest surviving lighthouse on the Great Lakes is situated on Toronto Island. Built in 1808, Gibraltar Point Lighthouse is still a beautiful sight although no longer a working lighthouse. Until 1958, Toronto hired a resident lightkeeper to run the lighthouse. 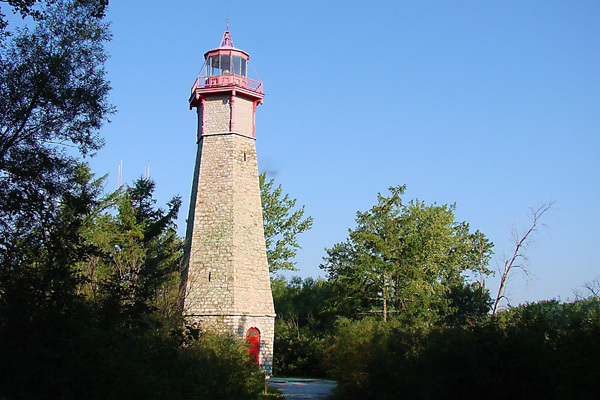 Gibraltar Point Lighthouse is also home to one of Toronto’s oldest ghost stories. In 1815, Randy Muller, the lighthouse keeper, died in a mysterious circumstance. The official word from the city is that no one knows who killed the keeper but ghost story aficionados tell a different story. In their version, Muller was murdered by drunken soldiers who were on looking for bootlegged beer. Sightings of the ghost of Muller have been reported by visitors to the lighthouse and in the area surrounding it. Don’t be fooled by the Canadian Geese. They may look polite and well mannered but they also bite. Hard. My boys would love all of these things! Free is always a nice bonus too. 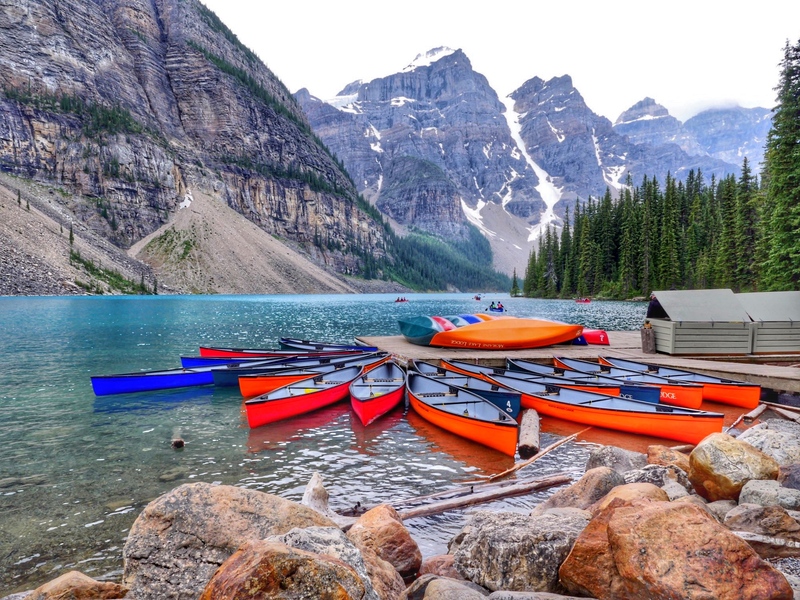 I can’t wait till we visit Canada one day.